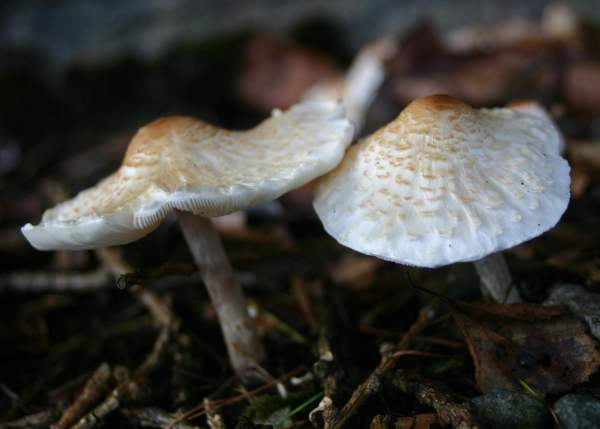 Lepiota cristata, the Stinking Dapperling, is one of several small dapperlings many of which are poisonous. A transient ring and a smell of coal gas are characteristics of this toxic toadstool of mixed woodlands and garden shrubberies. 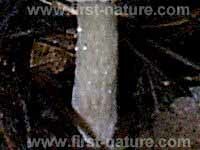 Fairly common and widespread in Britain and Ireland, this poisonous mushroom occurs also throughout mainland Europe. 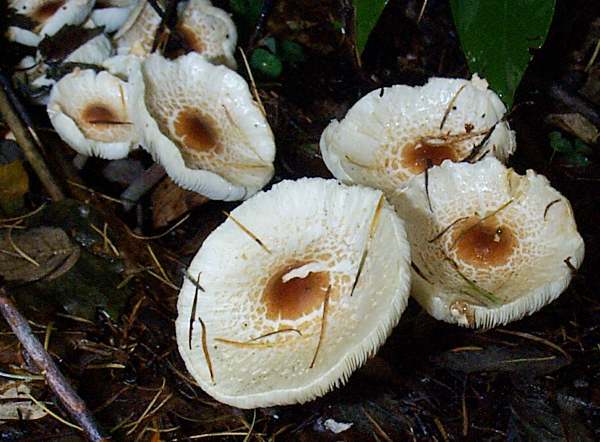 Lepiota cristata is also recorded from many parts of North America. 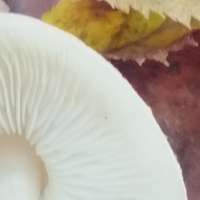 The basionym of this species dates from 1871, when British mycologist James Bolton described it and gave it the binomial name Agaricus cristatus. It was German mycologist Paul Kummer who, in 1871, transferrd this species to the genus Lepiota, at which point it acquired its currently-accepted name Lepiota cristata. Synonyms of Lepiota cristata include Agaricus granulatus Schaeff., Agaricus cristatus Bolton, Lepiota cristata var. felinoides Bon, Lepiota felinoides (Bon) P.D. Orton, and Lepiota subfelinoides Bon & P. D. Orton. Lepiota, the genus name, comes from the Latin word lepis, meaning scale - a reference to the scaly caps of this group of agarics. The specific epithet cristata means crested. Until recently, dapperlings were more commonly referred to in Britain as parasols - a potential source of confusion that may have added to the incidence of poisoning, as the large Macrolepiota species (commonly known as parasols) are good edible mushrooms. The Stinking Dapperling, like most if not all small woodland dapperlings, is regarded by many authorities as at least suspect and possibly a seriously poisonous mushroom, and so great care is essential to avoid accidentally including it when gathering mushrooms to eat. With red-brown scales upon a white background, this attractive dapperling expands from ovoid through convex to flat and eventually concave. Cap diameter at maturity ranges from 2 to 6cm. The free, crowded gills are white or cream, darkening with age. The stem is almost smooth, pale and with a transient ring. In this picture of the stem of a mature cap, the ephemeral ring is no longer in evidence. Typically 3 to 4mm in diameter, the stem can be up to 4cm tall. 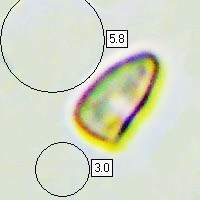 Very distinctively shaped like a rowing boat as seen from above, or like a bullet, smooth, 5-8 x 3-5µm; dextrinoid. Unpleasant rubbery odour; mild taste. In groups and occasionally solitary in mixed woodland and sometimes in damp, shady gardens. Lepiota ignivolvata is very similar in appearance except that it has a bright orange or red-brown ring low down on the stem.